If you don't mind using first names, Mr. Dent will be pleased if you call him "Doug." Clients want a lawyer they can trust - and Doug believes that, here in the slightly wild West, first names are part of a relationship of trust. 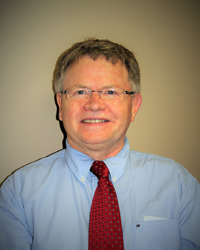 Doug is proud to call himself a general practitioner and has more than 35 years experience as a lawyer. He can help you with family law, wills and estates, real estate law, business law and court matters. He speaks and writes English and French fluently. When time permits, he gives back to the community by participating in several of the non-profit organizations which enhance life in the South Cariboo. Lawyer / proprietor, Centennial Law, 100 Mile House, BC. Areas of law in our practice include family, real estate, wills and estates, incorporations and business law, foreclosures and court matters. Our real estate practice includes purchases, sales, mortgages, easements, covenants and subdivisions.